What is the purpose of the Coloured Document Pockets? The coloured pockets are used to show off documents, portfolios, etc. They are perfect for advertising working information and keeping staff informed about any news. 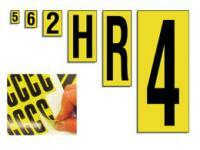 Easily put in place, brilliant for noticeboards, warning signs and health and safety information. The variety of colours can be used to separate departments or types of news, e.g. yellow for warnings, red for notices, green for something of importance, etc. These document pockets can also be used to label stock in warehouses, ensuring the label is long lasting and protected at all times. 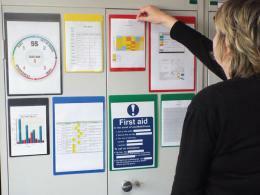 These document pockets can be used just about anywhere; any public building that requires notices, any school or college, any warehouse that requires labels, offices that have notices for staff, anywhere that needs health and safety signs or any other warning signs or even in a personal setting where you may need to remind yourself to carry out particular tasks. Who might use the Coloured Document Pockets? Employers who want to get information across to their staff would use these document pockets to place within their office or staff room. 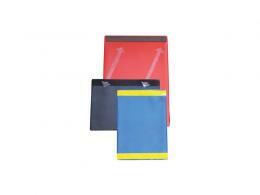 Warehouse managers would also use these pockets to label the necessary stock or to outline health and safety risks. 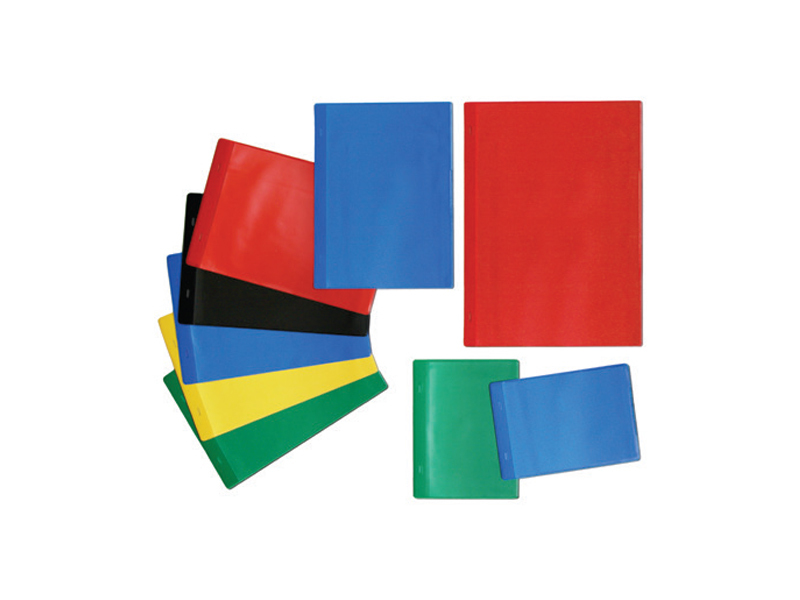 The Document Pockets come in packs of 10, with an option for A5 or A4, horizontal or vertical, self-adhesive, tie on or magnetic and a choice of 5 colours; black, blue, green, red or yellow.